Krebs Ranch is a working Angus ranch located in the Northwest corner of the legendary Nebraska ranch country known as the Sandhills. Often referred to as “God’s own cow country”, because of its strong grass and abundant water, the Sandhills encompass approximately 19,300 square miles and contain 12.75 million acres of rangeland. Just as the name implies, the Sandhills were formed ages ago by blowing sand, and are now held in place by vegetation consisting mainly of dry land grasses. The grass-covered dunes can reach heights up to 400 feet, can run a length of 20 miles, and contain slopes as steep as 20%. The Sandhills are the largest sand dune formation in the Western Hemisphere, and one of the largest grass stabilized dune regions in the world. Approximately 720 species of plants are estimated to be growing without cultivation in the Sandhills with 670 of them identified as native species. The Sandhills also have numerous lakes and wetlands. Many of the valleys contain lakes or wet meadows that are watered by the massive Ogallala Aquifer. The aquifer is a vast underground water table that lies below eight states including South Dakota, Nebraska, Wyoming, Colorado, Kansas, Oklahoma, New Mexico, and Texas. The hay meadows responsible for the vast majority of forage produced at the WK are sub-irrigated by the historic Ogallala Aquifer. The same aquifer also supplies the water needed for the ranch’s corn and alfalfa that’s grown under center pivot irrigation. The Krebs Ranch ranch begins in the northeastern edge of Sheridan County and stretches to the northwestern edge of Cherry County. Sheridan County takes in 2470 square miles of Nebraska and has a county population of 6198 people. While the population of Cherry County is similar to that of Sheridan County, at 6148 people, it is much larger in land mass. Cherry County covers an amazing 6010 square miles, which makes it the largest county in Nebraska. In fact, Cherry County is larger than the entire state of Connecticut! Although these counties are relatively small in population size, the number of beef cows located in the area is substantial. Out of the 1.9 million beef cows estimated to be in the state of Nebraska, 248,000 head of them are found within these two counties. Some men make things happen, some men watch things happen, and others wonder what happened. With his birth in 1977, Ken Caryl Mr Angus 8017 signaled the start of the Eldon Krebs era in the Angus breed. As the herdsman for Ken Caryl Cattle Company, Eldon Krebs made things happen as he guided Mr Angus through a storied show career that saw Mr Angus become the first major champion from the tanbark to become a part of the emerging A.l. stud industry. Just three years later, the birth of High Voltage in 1980 and his Triple Crown show career provided the financial impetus for Eldon and Louisa Krebs to put down family roots at Gordon, Nebraska, on the west edge of the famous Sandhills and begin the process of building a legacy. 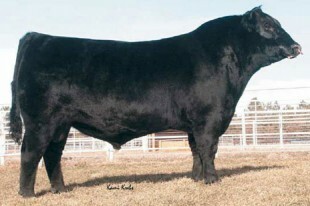 More than two decades after his birth, High Voltage still stands today as the top-valued bull in Angus history. From the Ken Caryl program they helped to make famous, the Krebs family brought with them to Nebraska a pair of twin sisters from the first calf crop by Mr Angus and in 1983, Queen of Ken Caryl 179 produced Shamrock HK, an eventual Pathfinder Sire who was the number one Milk EPD bull in the Angus breed for several years and a cornerstone female sire for the Krebs family. Continuing a tradition begun by the Leachman family and their famous Ankony Angus herd in the ’60s and ’70s, the Krebs family dominated Angus competition on the hill and in the yards at the National Western Stock Show during the ’80s and 90s with an unprecedented string of consecutive Grand Champion individuals, pens, and carloads. From the selection of Ty’s Grand Champion Steer at the 1986 National Junior Angus Show through Kami’s winning of the Silver Pitcher as the premier girl exhibitor at the 1999 and 2000 National Junior Angus Shows, the Krebs children were a dominant force in National Junior Angus competition for fifteen years with Ty owning and exhibiting the Grand Champion Bred-and-Owned Heifer in both 1995 and 1996 and winning the Silver Pitcher as the premier boy exhibitor for three consecutive years in 1993, 1994 and 1995 followed by his win of the prestigious Showmanship competition in 1996. While his family and their cattle were dominating the most recognized and respected open and junior show competitions in the beef industry, Eldon Krebs was building a cow base at home that has supplied the genetic needs of Sandhills commercial cowmen for more than two decades. 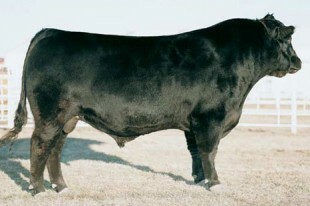 In 1989, long before the program had achieved its current popularity, Eldon Krebs selected G A R Traveler 1027 from Gardiner Angus Ranch in Kansas, and this son of Q A S Traveler 23-4 became a cornerstone of the WK program who still ranks among the top 2% of all progeny-proven sires for Marbling EPD. From the 1989 Gardiner calf crop, Eldon sampled G A R Sleep Easy 1009 long before anyone knew his name or his marbling and maternal potential. From the 1990 Gardiner calf crop, Eldon sampled G A R Precision 1680 who, with the arrival of ultrasound evaluation, would become very famous. From the 1988 calf crop of the Drake Farms performance program in Oklahoma, Eldon chose D F Husker 8279, a son of Scotch Cap that can be found in many WK pedigrees today. From that same 1988 calf crop, Eldon found V D A R Rito 263 at the 1989 Midland Bull Test Sale several years before his later to be famous maternal brother V D A R Lucys Boy was born. 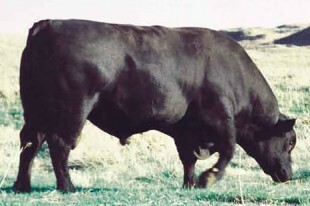 From the 1989 calf crop in the Angus breed, Eldon chose Ginger Hill Duster 89, a Traveler son from a dam by Shamrock as the $24,000 top-selling bull of the 1990 Midland Bull Test Sale in Montana. From the 1990 calf crop, Eldon identified Kesslers Rainman 002, a son of GDAR Rainmaker 340, who left many more great female descendants in the program. At the 1992 Midland Bull Test Sale, Eldon selected the Rito 2100 son, Prototype 5102 EAR, and the Scotch Cap son, C A R Scotch Cap 115, as his herd sires from the 1991 calf crop. From the 1992 calf crop, Eldon stayed close to home in the Sandhills and added Bando of Conanga 573 to his maternal base from another performance program not yet appreciated by the masses. Eldon was the contending bidder on Leachman Right Time, the $160,000 record-setting member of the 1992 calf crop and among the first in the breed to use him in the spring of 1993. A landmark day for the WK program came with the acquisition of Connealy Dateline from the 1993 calf crop at Connealy Angus Ranch. O G L Battle Cry, the bull from the 1994 calf crop that Eldon added to his arsenal, offered an outcross sire line for the program while descending from a grandam by High Voltage. Turning to one of the breed’s historic performance programs for his choice from the 1995 calf crop, Eldon added the eventual great female sire Ideal 5411 of 1418 972 to the mix as the popularity of EPD values was identifying his dam as one of the breed’s top growth cows. Another landmark for the program came when Eldon acquired the possession interest of Bon View New Design 1407 from the 1997 calf crop. At the 2000 Bases Loaded Sale at Coors Field in Denver, Colorado, New Design 1407 captured the imagination of the industry and sold one-third interest for $275,000 on his way to becoming one of the most popular A.I. sires in the history of the Angus breed. The Battle Cry sons, WK Appeal and WK Gunsmoke, from the 1997 and 1998 WK calf crops have carried on the tradition and from the fall 1999 calf crop at Anderson Circle Farm, Eldon chose ACF Neutron 9228, the top IMF bull and top-selling bull for that program before his dam became recognized as the number one ultrasound REA EPD cow in the breed. A decade after choosing two herd sires from the 1992 Midland Bull Sale, Eldon chose two more in 2002, making the bull he renamed B R Midland the $202,000 record-seller and the New Design 036 son, Krone Royal, the second high-seller. The first progeny by these young sires show the promise of their contribution to the WK program and the young cattle by Midland from dams by New Design 1407 and grandams by Dateline will lead the Krebs family forward into their third decade as leaders in the Angus industry.